If your concerned about healthy air can breathe a little easier in buildings insulated with the spray products offered by Supreme Foam Installers in Kerry, Cork and Limerick. Dangers associated with certain forms of insulation, such as long-term emissions. Our products can actually help to improve indoor air quality. People with allergies, asthma and certain chemical sensitivities have often found that, in buildings with Spray foam Insulation, dangers of respiratory distress caused by natural airborne irritants are reduced significantly. Pollutants and airborne allergens can penetrate even the smallest gaps in other forms of insulation. Airborne moisture can also infiltrate traditional insulation, sometimes leading to mold, which releases spores and potentially toxic substances called mycotoxins. Thanks to the superior air seal created by Spray foam, dangers of inhaling these toxins and irritants are greatly reduced. For all these reasons, Spray foam is highly recommended for spaces occupied by people with allergies, asthma and other particular respiratory issues. In fact, Spray foam was used to improve indoor air quality as part of the American Lung Association’s “Health House” program. More Safety Benefits of Spray foam Insulation. Independent third-party testing confirms that electrical wiring is not affected by Spray foam. Dangers of overheating were not found to be a concern during testing. As people become educated about insulation, more and more are discovering both building performance and peace of mind. Problems that used to be common, or even seem inevitable, can now be permanently avoided. Spray foam doesn’t just insulate, it creates a superior air barrier compared to traditional insulation like fiberglass. When it’s sprayed into the wall cavity, it expands to fill the space, regardless of the size or shape. That includes cracks and crevices that other insulation’s couldn’t easily fill. It adheres to every surface it touches, creating a sealed environment. Thanks to the science of Spray foam, problems like drafts can be a thing of the past, and energy bills can be reduced by up to 50%. Airtight levels achieved, our spray foam insulation helps block airborne moisture from infiltrating the wall cavity. In cases of roof or plumbing leaks, after the leak has been fixed, Spray foam’s light-density insulation will dry, reducing the potential for mold growth. Once dried, it continues to operate at peak performance levels. 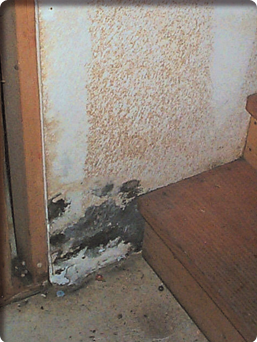 This is a significant and unique benefit offered by Spray foam; problems related to moisture management are common among other types of insulation. By helping to reduce the risk of mold, Spray foam also helps prevent the spores and toxins that get released into the air. In addition, airborne pollutants and allergens that can pass through the gaps left by other forms of insulation are much less of a threat as a result of the air-sealing capabilities of Spray foam. Problems associated with asthma and allergies can therefore often be alleviated by using Spray foam. 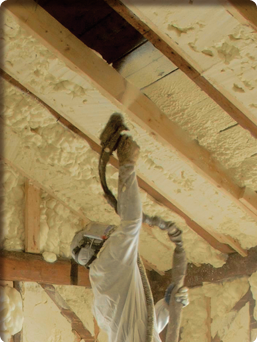 Energy efficiency is only one of the many benefits offered by Spray foam insulation. Problems with allergies? Lack of privacy? You may be surprised how much Spray foam could help. Because it dramatically reduces air filtration, spray foam helps prevent airborne allergens and pollutants from entering the building. In addition, because of its moisture management benefits, Spray foam also helps protect against the formation of mold. That means that with Spray foam insulation, problems related to mold spores or other toxins released by mold are also reduced. Spray foam seals against the transfer of air and accompanying moisture, it also helps reduce the transfer of noise. Thanks to the sound hardening qualities, problems and annoyances related to “thin walls” can be easily turned into better privacy. Your contractor will advise on the best type of spray foam insulation to use for your property – open cell or closed cell. 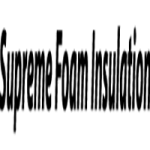 Different insulation types may be suitable in different applications. Spray foams act as air barriers. If you live in a humid climate, or have rooms with high humidity, the moisture in the air may spread through the building and condensate. This water can then lead to mold. When you protect against the movement of moist air using the air barrier formed by Spray foam, mold and condensation risks are reduced. Some allergies and asthma may be triggered by mold, so using Spray foam materials can help you have a healthy home for the above reasons. Also, because it dramatically reduces air filtration, Spray foam also helps prevent airborne allergens and pollutants from entering the building.